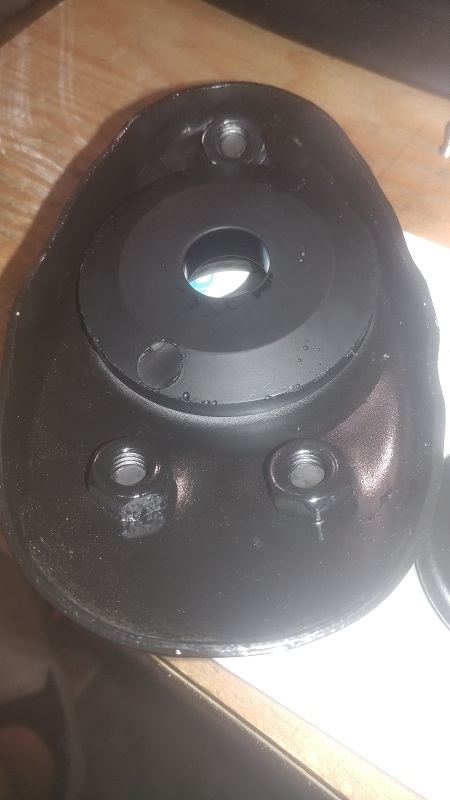 1) Do the rubber bushings I circled need to be changed? None are cracked or damaged, but are they just spacers or do they affect how tightly the car handles? 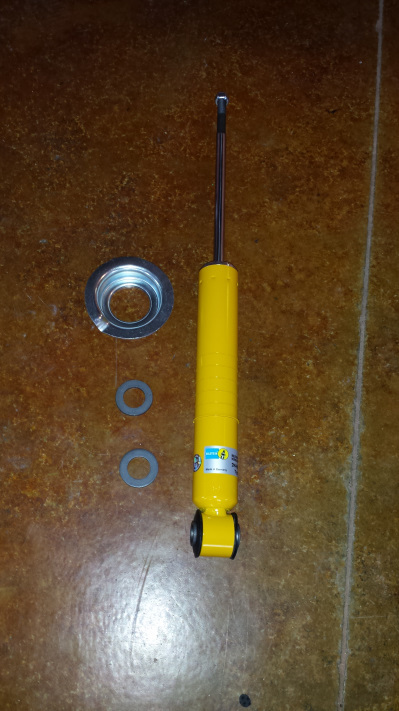 2) Plan on replacing shocks with Bilstein shocks. Can I reuse the top hardware shown or must I acquire new parts? If so, where would one purchase said parts? I am pretty sure that you will get those bushings with the new shocks. Nothing comes with rear shocks. Reuse everything. Like mark said, reuse it. New shocks only include a top nut and a clip for the lower spring cup. You will need the cups that hold the springs for the Billys. Give Bdstone a ring, he usually has a pair. think they are around $60 each new. Edit - some of the Billsteins include the lower cup, some don't but great shocks. I am almost positive my rear koni sports came with the cups and bushings. But that was a long time ago..
to wiggle them they are solid. Should I just leave the original bearings alone or is it still recommended to swap for new bearings since I have the arms out? 2) Which ones are the shock pillows? 3) Is Elephant Racing the only option for rubber bushings? They're the only one I can find. Here's a video which covers what gets reused...with a coilover setup anyway! I just received a pair of new rear Bilsteins on Saturday. Here is what you get in the box: Shock, locking nut, 2 washers, a lower spring perch. There is also a circlip on the bottom ring that can be moved to adjust the lower perch location. I have a spare set of arms I can build for you and then you can just swap them out. Hey bbrok, are those Bilstein B6 Performance Series Shocks and Struts 24-001793? I was going to get a pair from Summit unless someone else can recommend a better seller. Also I know 914 Rubber offers 100 lb rear springs, but I haven't been able to find springs anywhere else of differing rates (not coilover). Yes. B6. I got them from PMB Performance. We make the parts you are looking for. 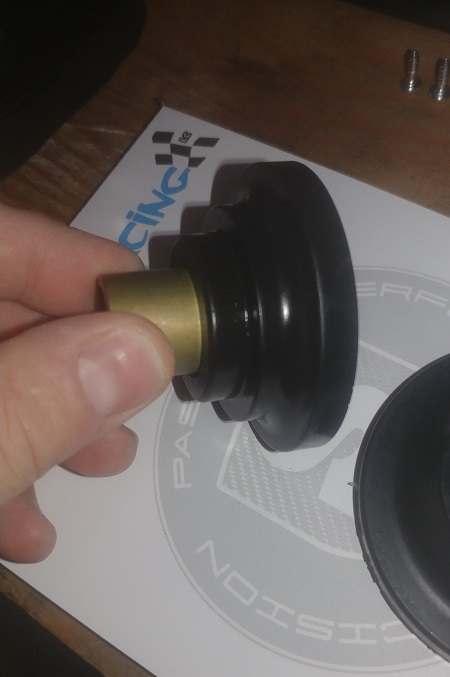 We are also in the process of making the rubber trailing are bushings and we are working on a set of new shocks that will be matched to the springs that we have now. Here is where you can find the parts on the new site. @Matty900 what is the timeline for the rubber trailing arm bushings? 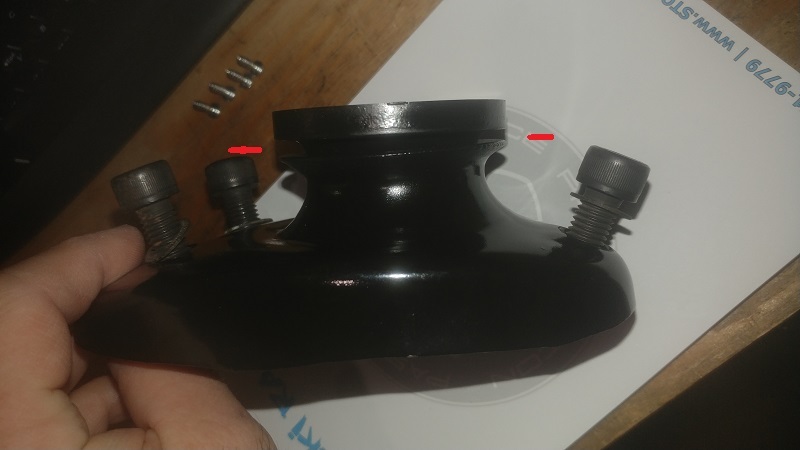 Maybe ill hold off on installing the poly bushings. Ditto. 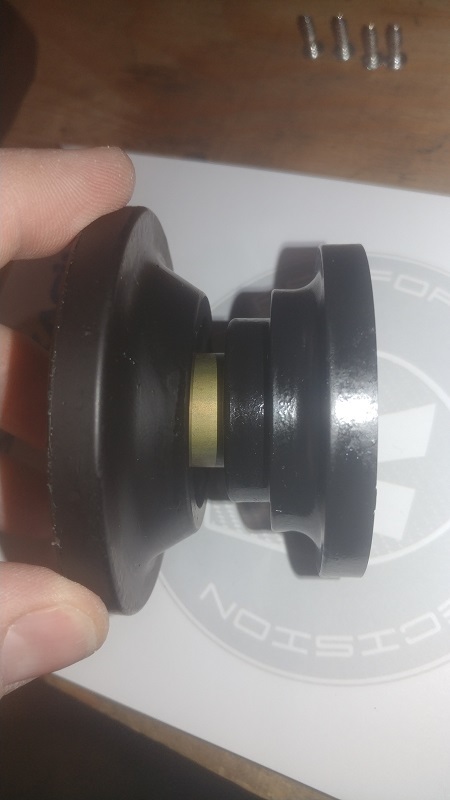 I have a set of your poly bushings and SS pivot rod which I could be installing as soon as next week, but will hold off if these rubber bushings will be coming out soon. I purchased trailing arm bushings from 914rubber last year. They came with the steel shaft. Are you redoing the upper strut bushings. I have 2 sets sitting on the bench but they don't fit correctly. I asked about them 2 months ago but got no reply. I have the same issues with my new bushings that I purchased at PP..
Gap at the top side lower is fine. I'm told it's because the housings are 914. The 911 housings are different.